Are you looking for a unique gift for a special someone who already has everything? Do you love your pet more than life itself, and already have so many photos but want to capture him or her in a unique way? 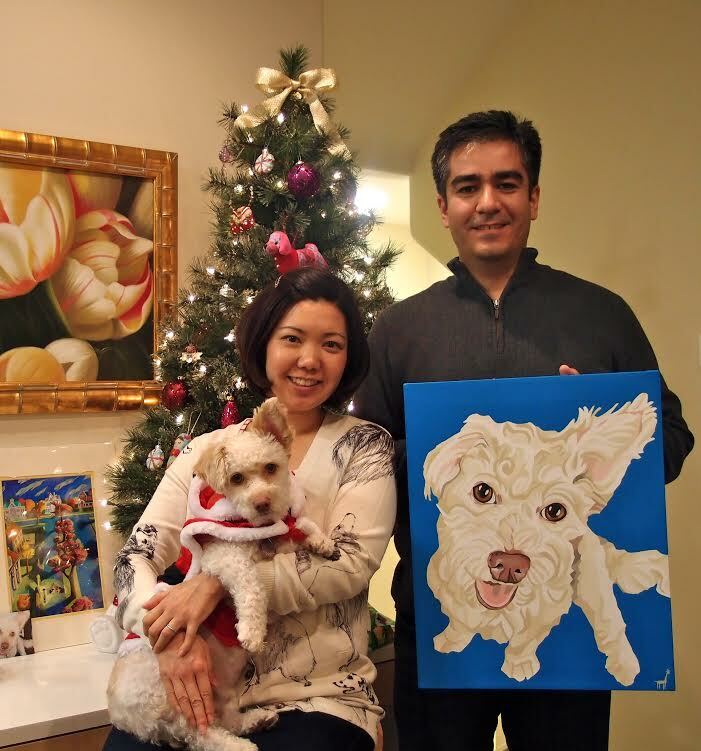 A customized portrait is a perfect way to express your love and appreciation for your someone special! Upload a picture of Mom and her little girl dressed up for a party; Fluffy the poodle; Dad's favorite baseball player or his loyal and trusted dog ... and have a unique gift in time for that special occasion! All that is needed is a good digital photograph that clearly shows details, and I can create a beautiful painting that will be treasured for generations to come. A hand-painted portrait is a wonderfully unique gift for any occasion. What a fantastic surprise for that hard-to-buy-for special someone. • You submit a digital photo via the easy uploader (below) on my website, select the canvas size and request colors (should you choose to). • A 50% down payment is required via PayPal to begin. I will contact you via email after you upload your photo(s). • Your photo is sketched and painted. • A digital proof is emailed to you. Once it's approved and the balance is paid in full, the painting will be sealed and then shipped to you! • Need more info? Click "Process" below.